Here is an elegant French twist updo from women over 60. 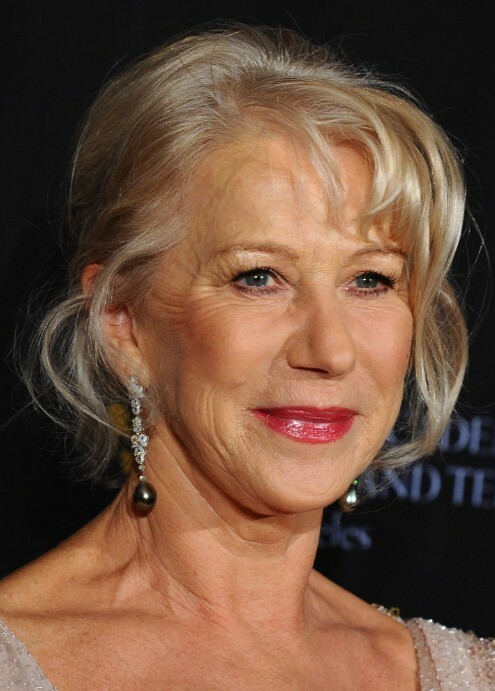 Helen Mirren wore her hair in a classic french twist with romantic face-framing tendrils. This hairdo is great for any occasion and will plenty of time to re-create.